Young buds are soft orange-red opening to peach. Flowers are medium in size and form cupped rosettes. 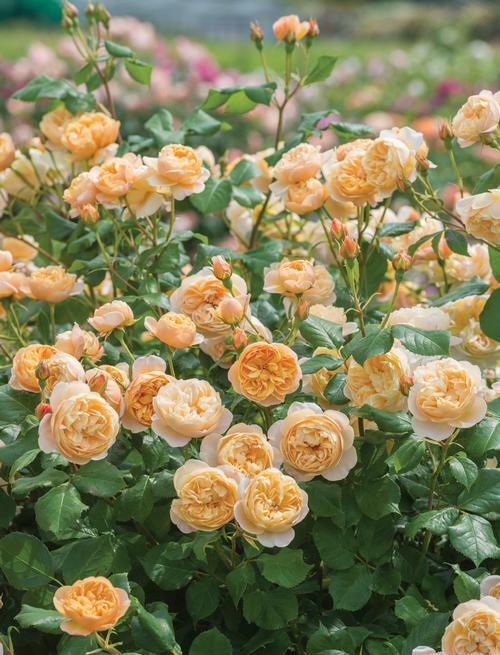 With time and proper pruning, this shrub will be rounded in shape and bushy. Said to have few thorns! 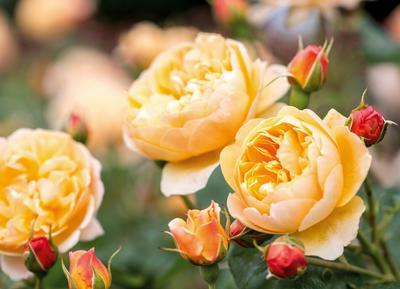 Marking the centenary of his birth, this rose was named after Roald Dahl. Author of the novel "James and the Giant Peach".